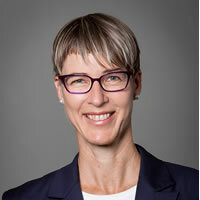 Miranda Stewart is Professor of Law at the University of Melbourne Law School where she is Director of the Tax Group and is a Fellow at the Tax and Transfer Policy Institute at the Crawford School of Public Policy, The Australian National University. Miranda was the inaugural Director of the Institute from 2014 to 2017. Miranda has more than 25 years research, practical and leadership experience in tax law and policy in academia, government and the private sector. Miranda engages in research, policy advice and teaching across a wide range of topics including taxation of large and small business entities, not-for-profits and individuals; international taxation and the role of tax in development; reform processes and budget institutions; and gender equality in tax and transfer systems. Miranda has an enduring interest in the resilience, legitimacy and fairness of tax systems to support good government. Miranda Stewart is a co-editor and author of several books, including Tax, Social Policy and Gender (ANU Press, 2017); Sham Transactions (with Edwin Simpson, Oxford University Press, 2013), Tax, Law and Development (with Yariv Brauner, Edward Elgar, 2013), Death and Taxes (with Michael Flynn, Thomson Reuters, 6th ed., 2014), Income Taxation Commentary and Materials (with Graeme Cooper, Michael Dirkis and Richard Vann, Thomson Reuters, 8th ed., 2017) and Housing and Tax Policy (Australian Tax Research Foundation, 2010). Miranda has many years experience in tax law in Australia and overseas. She has been a visiting scholar at Christ Church, Oxford on the Melbourne-Oxford Faculty Exchange and at the Centre for Business Taxation at Oxford University Said Business School. Miranda was a Consultant to the Henry Tax Review into Australia’s Future Tax System and is on the Eminent Expert Group on Revenue Mobilisation and Public Expenditure of the United Nations Economic and Social Commission of the Asia Pacific. Before joining the Faculty in 2000, Miranda taught at New York University School of Law in the leading International Tax program in the US. She previously worked in the Australian Tax Office on tax policy and legislation and as a solicitor at Arthur Robinson & Hedderwicks. She has also taught in the graduate tax programs at Osgoode Hall Law School, York University, Canada and the University of Florida Levin College of Law. Miranda tweets on tax policy @Austaxprof. A full CV and publications is at Miranda's personal website.